There's little traffic on the islands and not even a single set of traffic lights, so exploring by car is easy. A good road network on both islands makes most areas of St Kitts and Nevis easily accessible. Roads tend to be narrow, winding and not well lit at night, so extra care should be exercised. The maximum legal speed limit is 63kph (40mph) outside built-up areas and 31kph (20mph) in towns. A selection of cars, motorcycles and mopeds are available to hire from several companies. It's best to book cars well in advance. Car hire companies include Avis and Hertz, as well as a number of smaller, local vendors. You usually need to be at least 25 years old to hire a car. Taxis serve most destinations across the islands. There is a 50% surcharge between 2200-0600. Taxi drivers expect a 10% tip. You can hire motorbikes, mopeds and bikes to get around the islands. Safety equipment such as a helmet is often not included in the price. Local companies include Sunny Blue Scooter Rentals (tel: +1 869 664 8755; www.sunnybluerental.com). St Kitts and Nevis are hot and hilly, which presents a challenge for cyclists. Nevis is the more accessible cycling destination; you can hire bikes from Bike, Kayak 'N' Windsurf Nevis (tel: +1 869 664 2843; bikenevis.com). Colourfully decorated, privately owned vans operate on several bus routes on St Kitts. Some bus stops are established, but you can flag down vans at any point along the road. This low-cost transport service is used extensively by locals and less frequently by tourists. Licensed vans are identified by their green licence plates starting with H or HA. To drive in St Kitts and Nevis, you need a full driving licence from your home country. You must also purchase a temporary St Kitts and Nevis licence, available through car hire companies and the Traffic Department. Drink driving is illegal in St Kitts and Nevis, and those found guilty can be jailed for 12 months and ordered to pay a large fine. Drivers are advised to exercise caution driving at night, because roads are badly lit. The St Kitts Scenic Railway makes a 50km (30-mile) loop round the island. Passengers complete about two-thirds of the journey by train and the remaining portion by bus. The track was constructed to transport sugar cane from the island's plantations to the sugar factory in Basseterre. 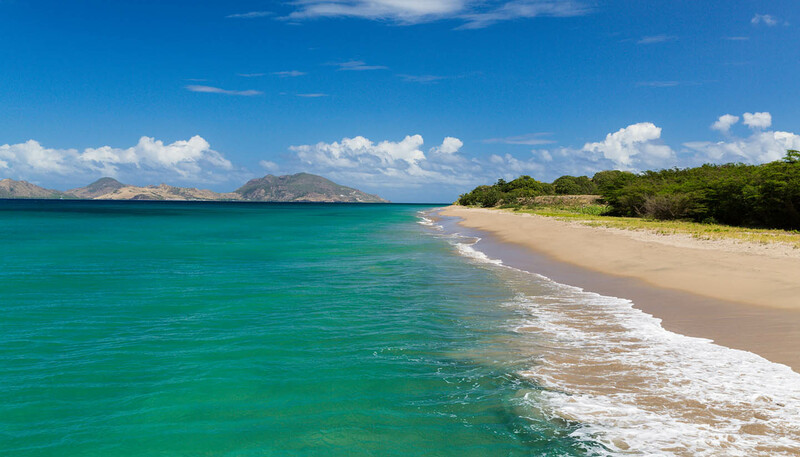 Several ferries make the 45-minute crossing between the islands of St Kitts and Nevis. See www.sknvibes.com/travel/ferry.cfm for the latest timetables.